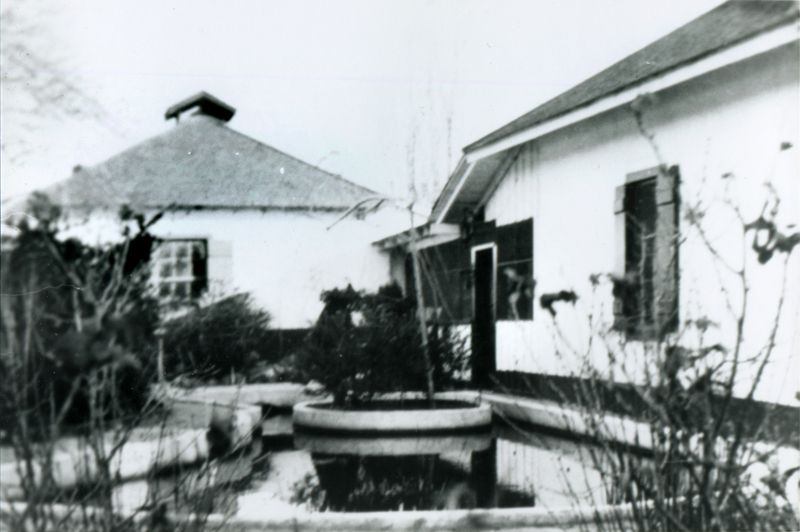 A fountain next to the cocina at Rancho Camulos, probably late 1920s or 1930s. This an another fountain were installed by ranch owner August Rübel, but he removed them when the water threatened to undermine the adobe walls. 3½x5-inch print. NT1022: 19200 dpi jpeg from original photograph (copy print?) | Nathalie (Rübel) Trefzger collection.